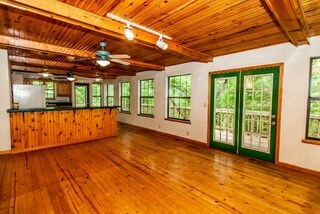 Main Level: The main level is an open plan with walls of lakeside windows overlooking the quiet cove and channel beyond. 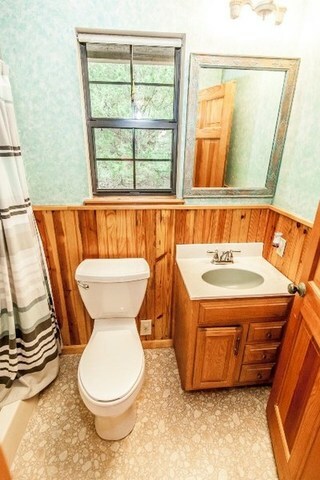 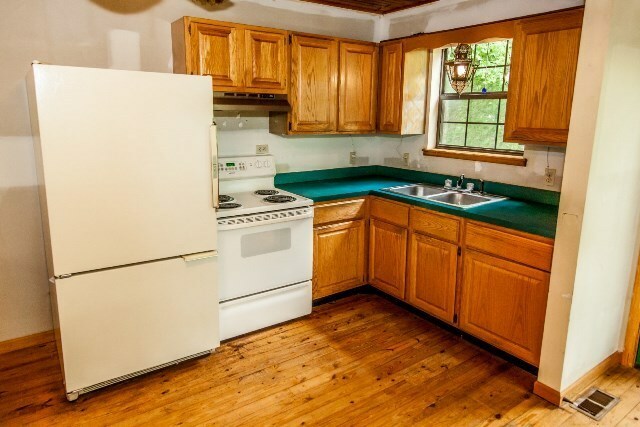 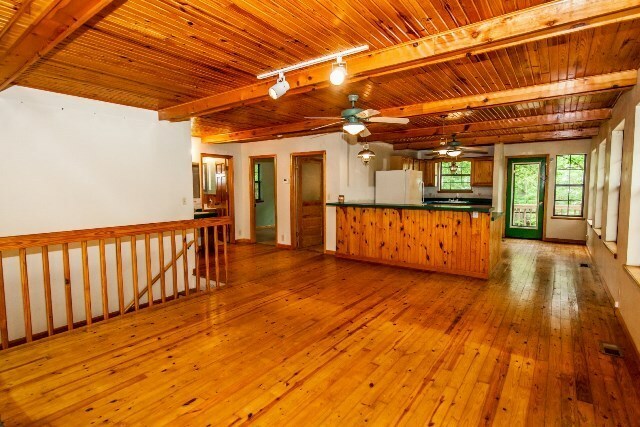 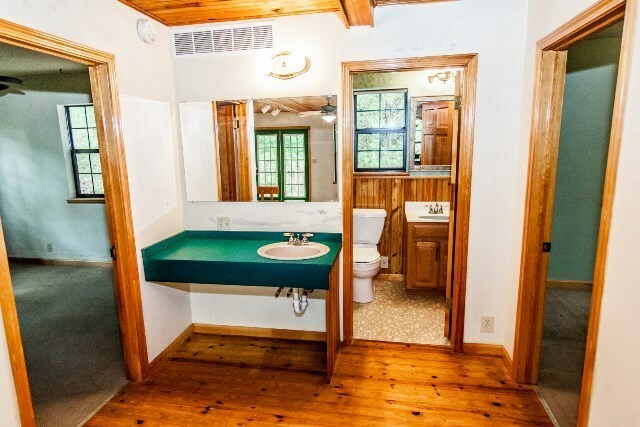 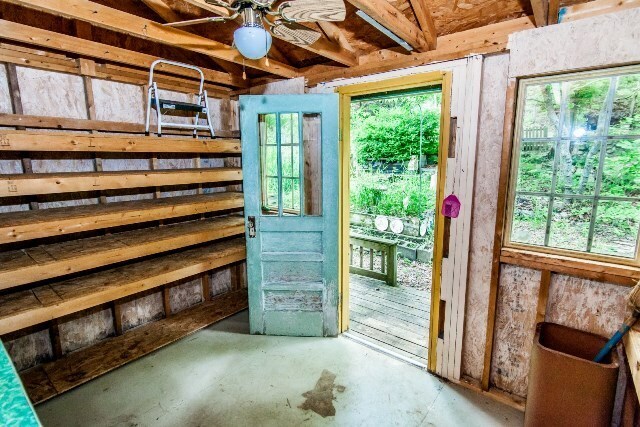 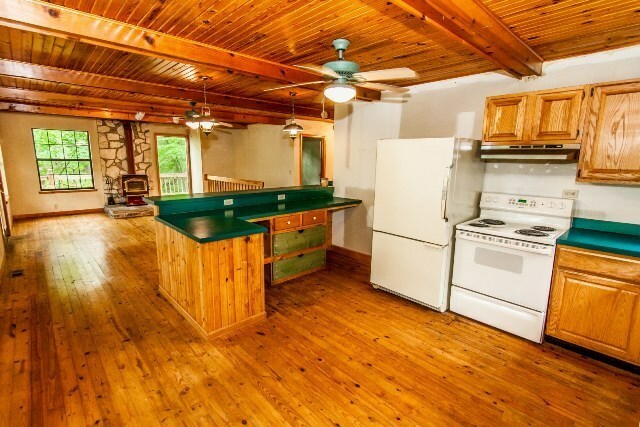 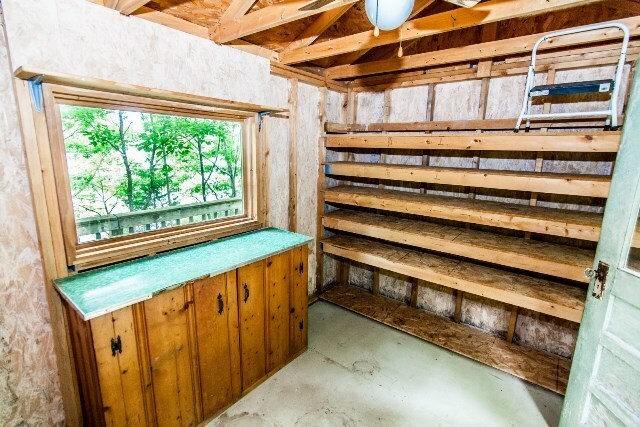 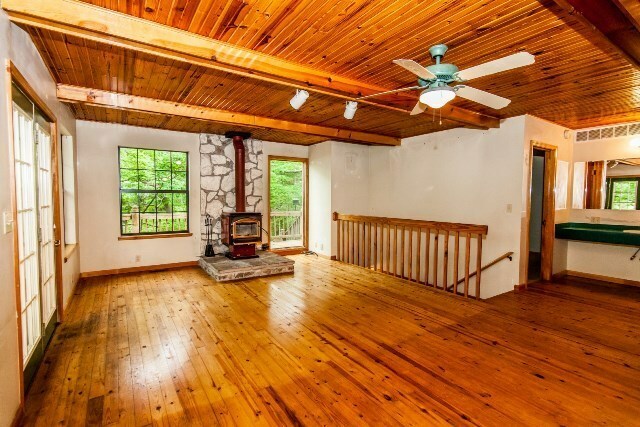 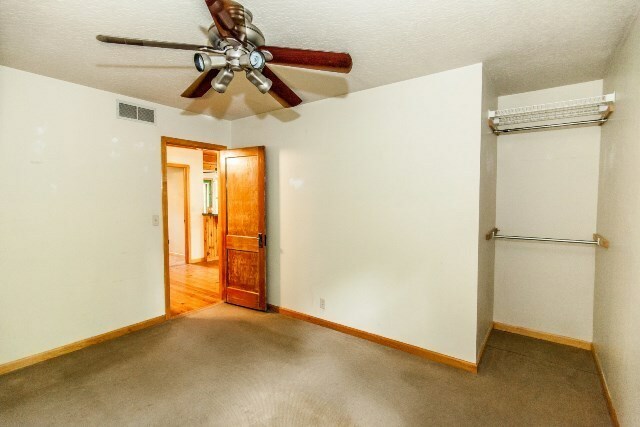 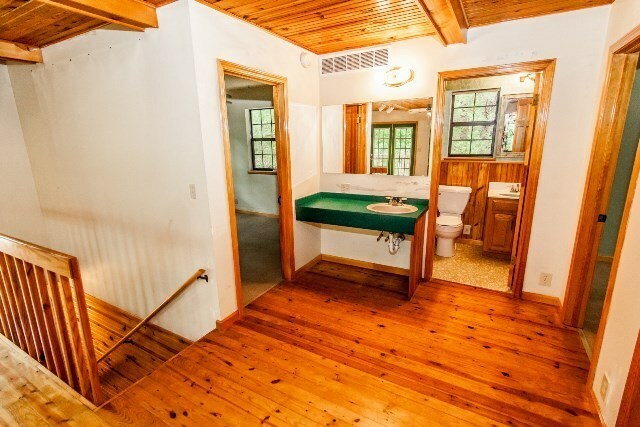 It features pine floors and beadboard ceilings. 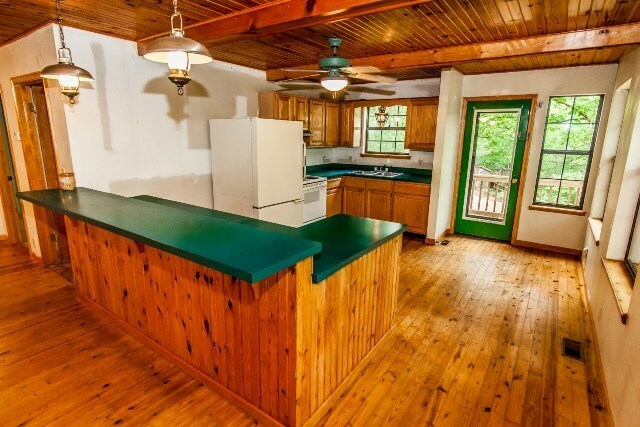 The kitchen offers counter seating for 4, breakfast area, Amana refrigerator/freezer on bottom, Hotpoint stove/oven, double sink with window, oak cabinetry, and a lighted ceiling fan. 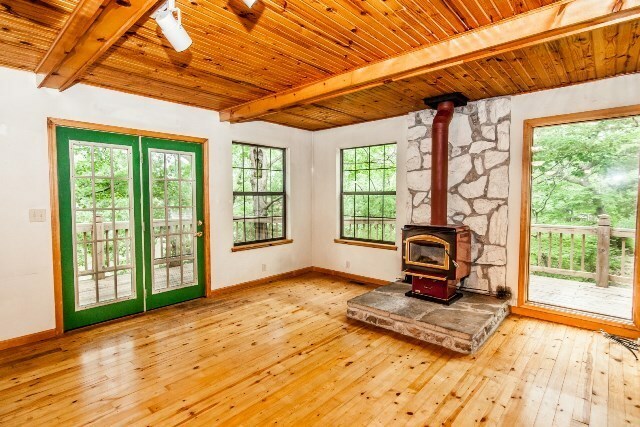 The living room has lake views from two walls and a charming wood-burning stove on a hearty stone hearth. 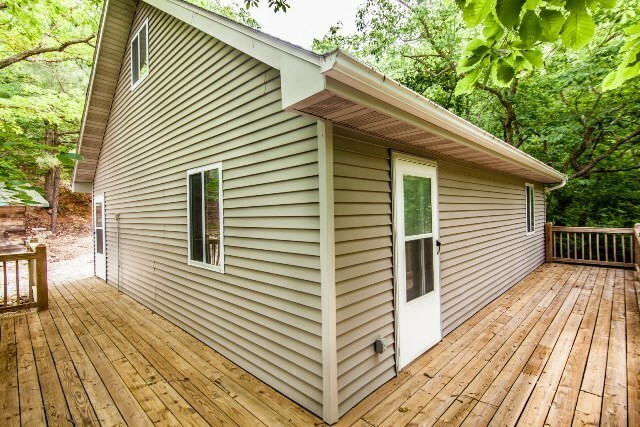 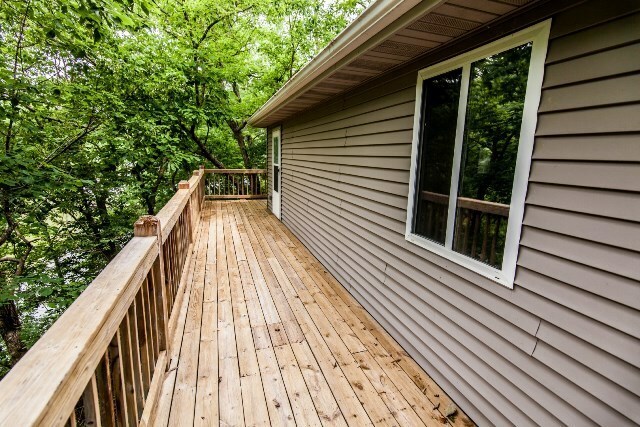 The upper wrap-around deck is accessed from the kitchen and French doors in the living room. 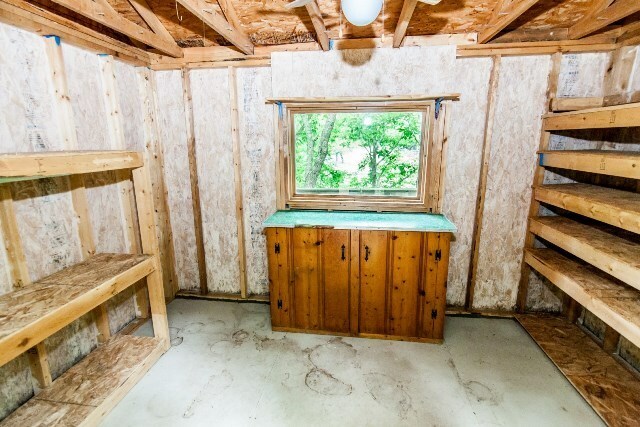 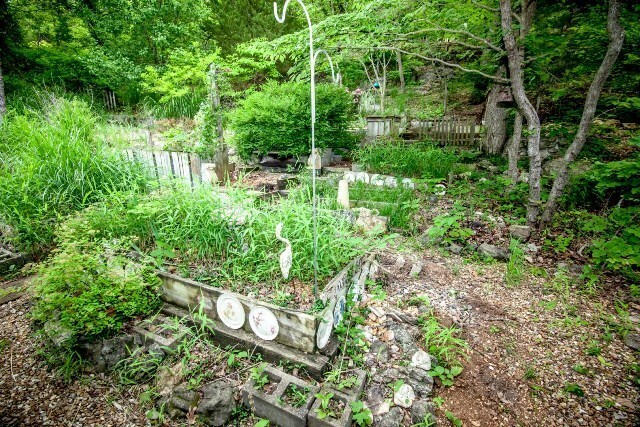 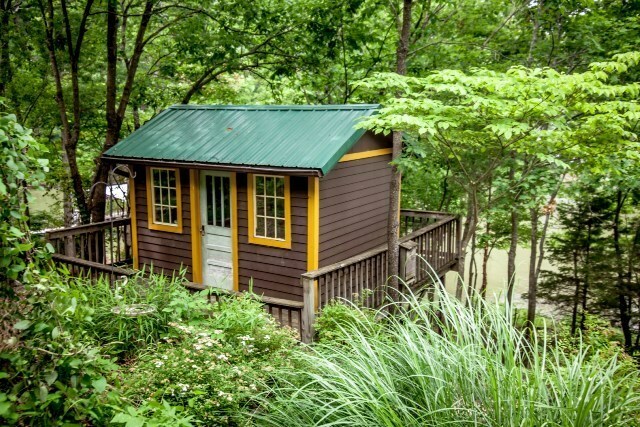 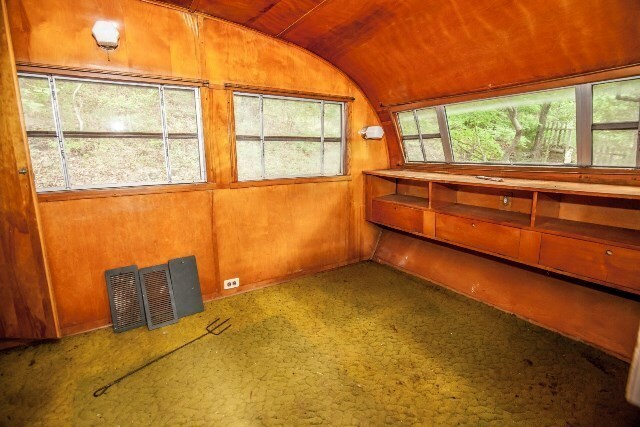 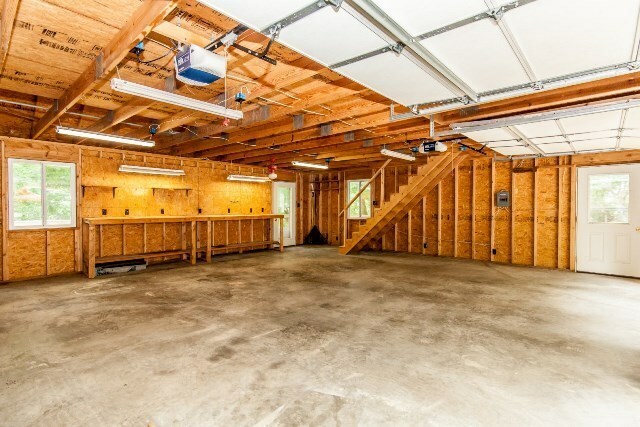 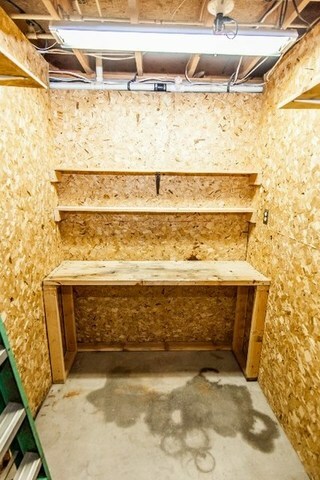 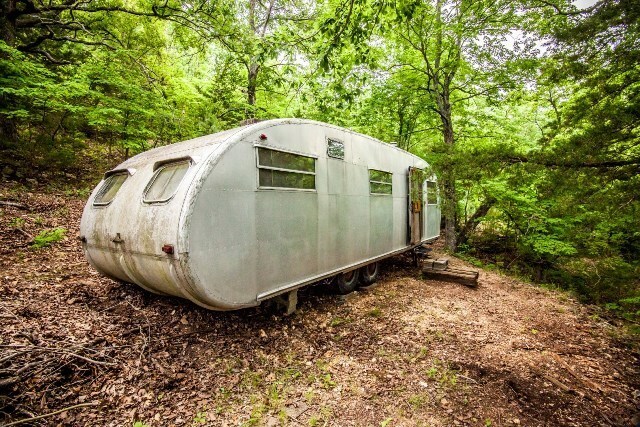 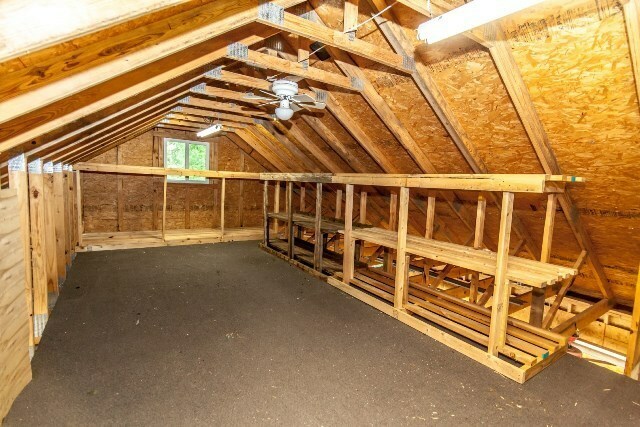 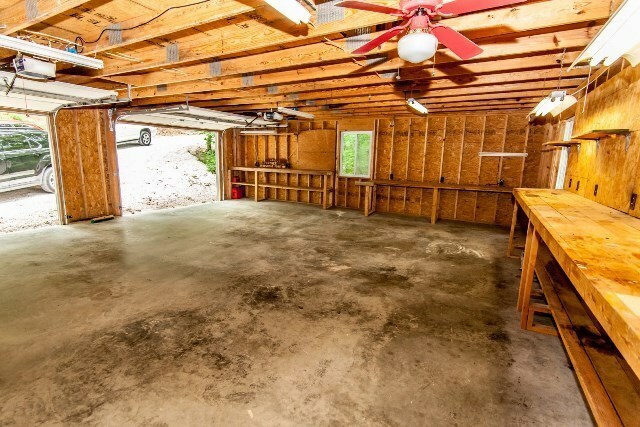 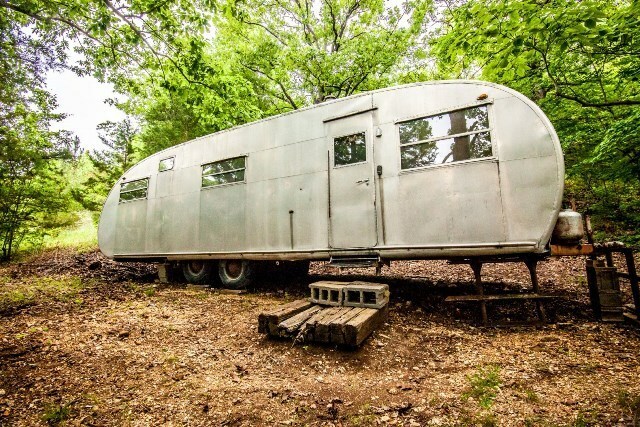 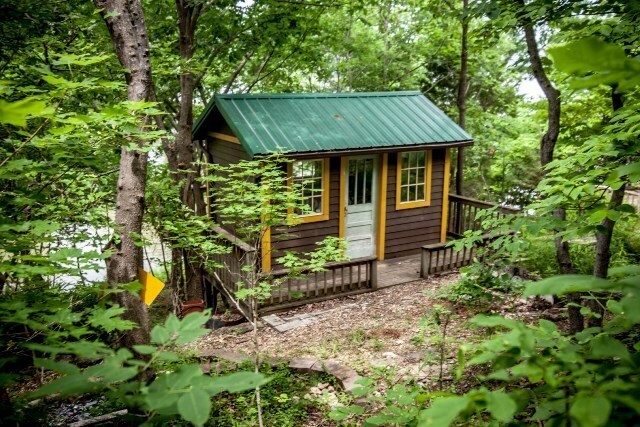 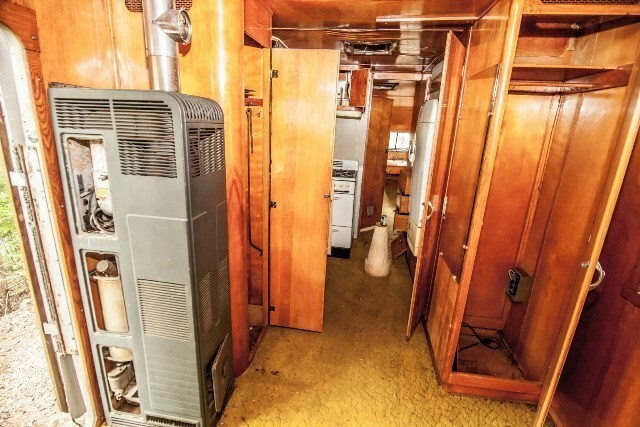 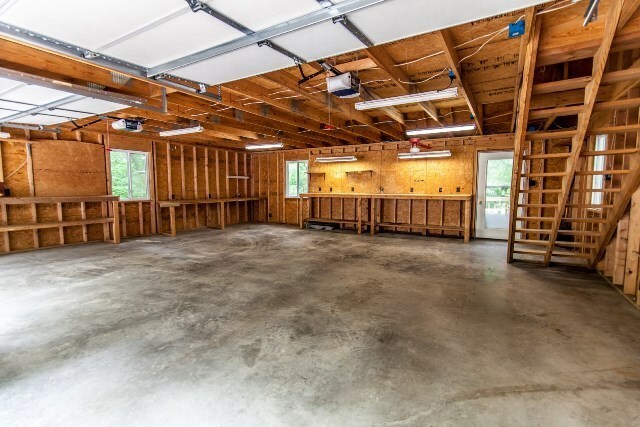 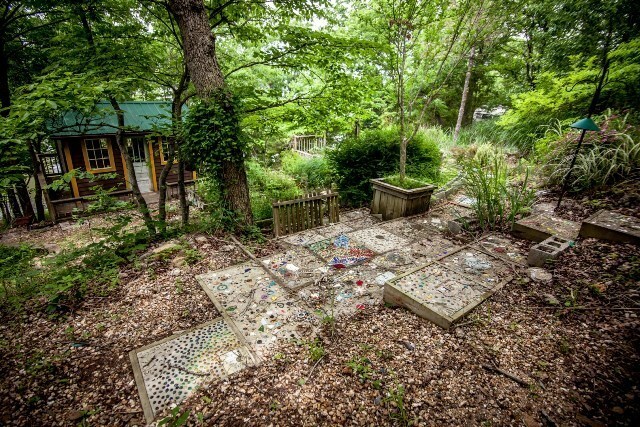 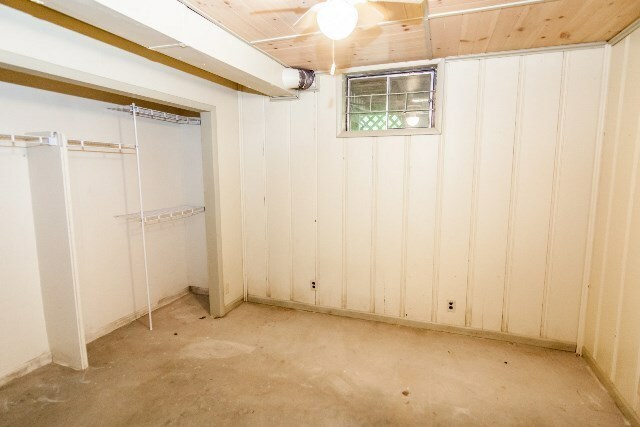 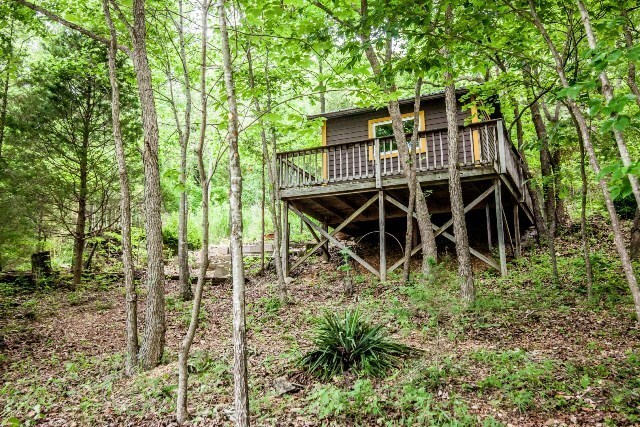 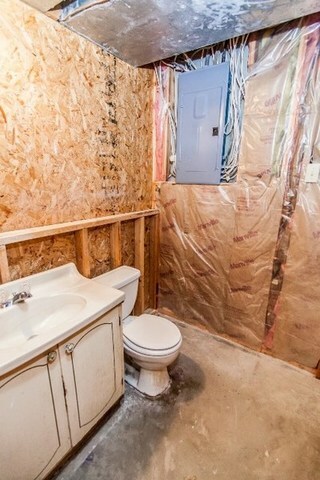 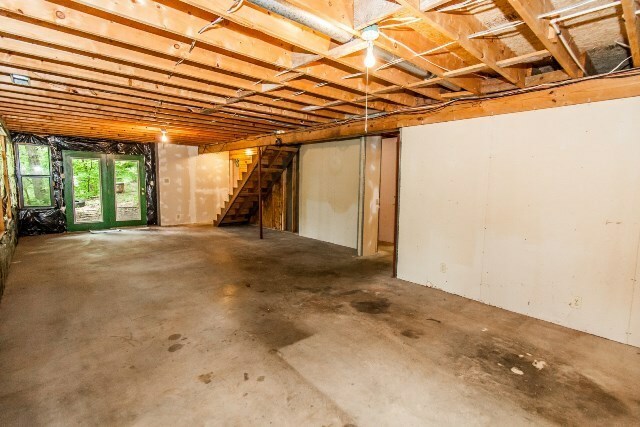 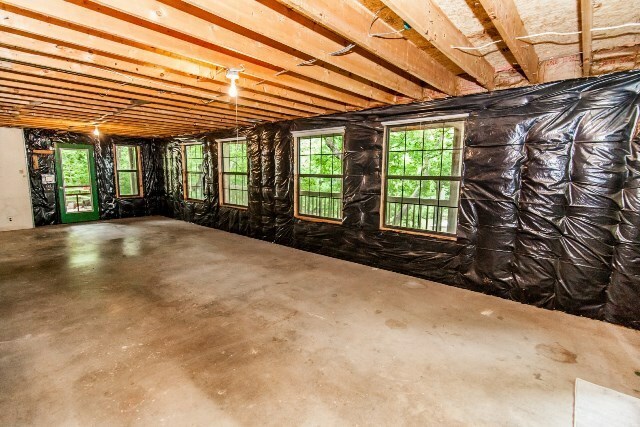 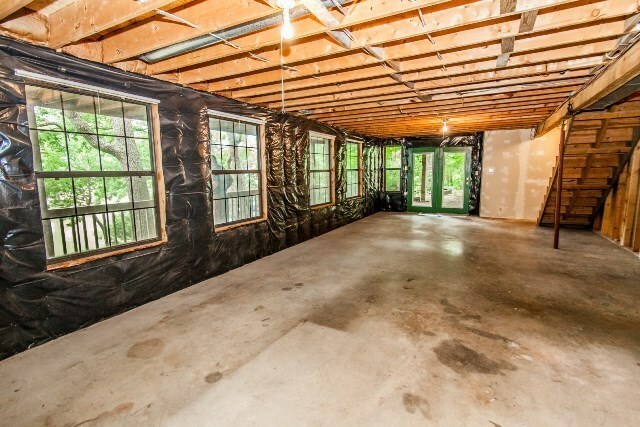 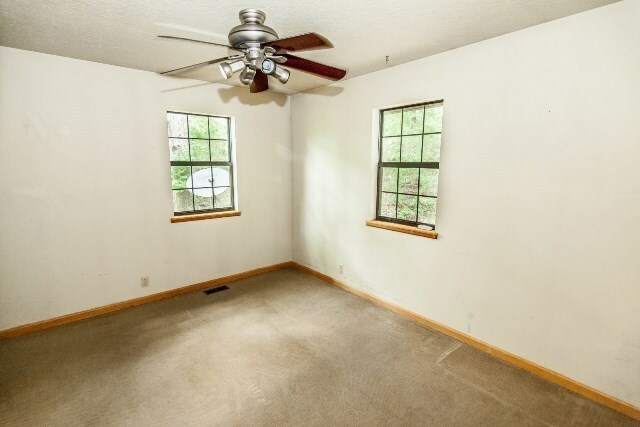 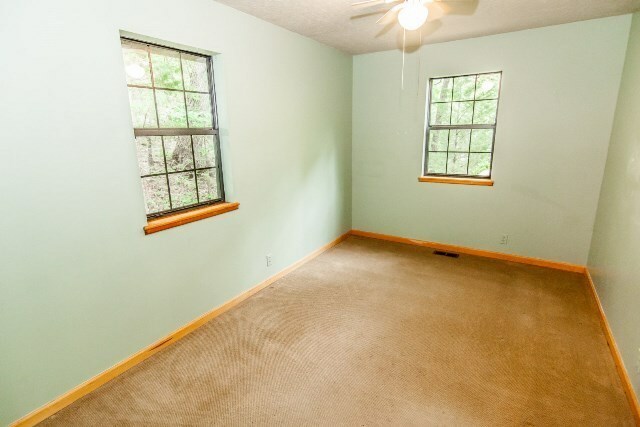 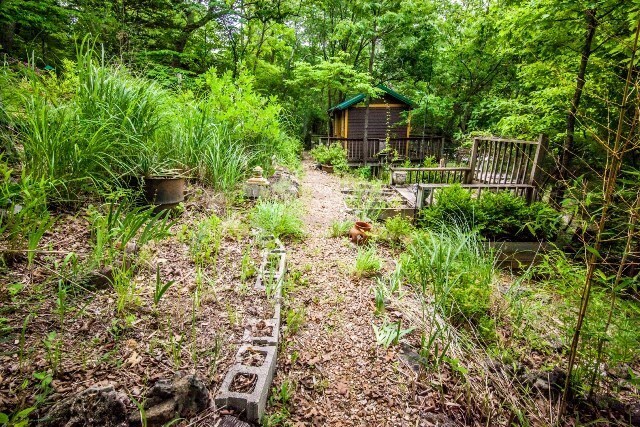 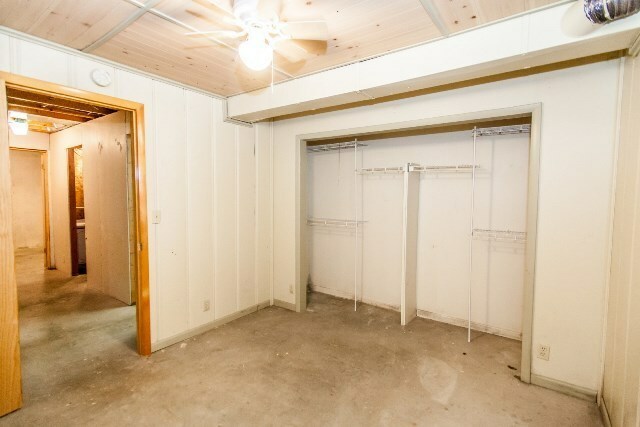 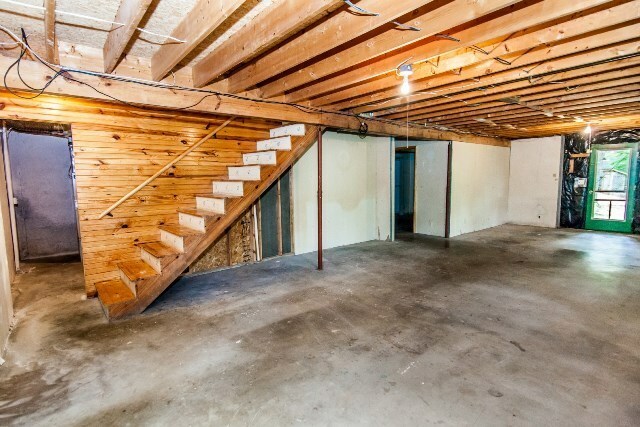 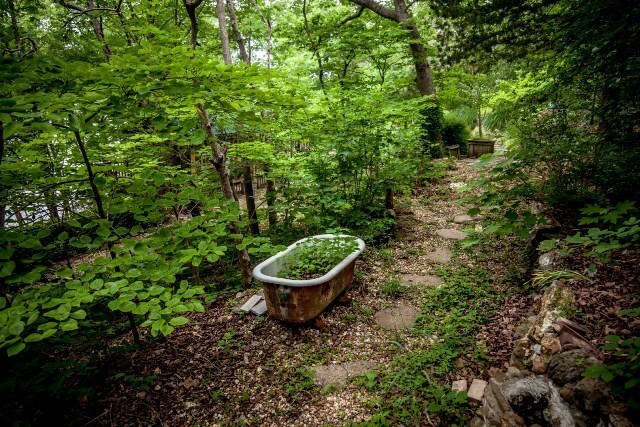 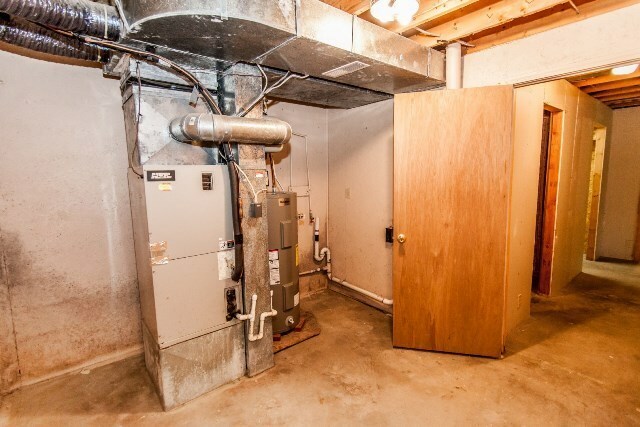 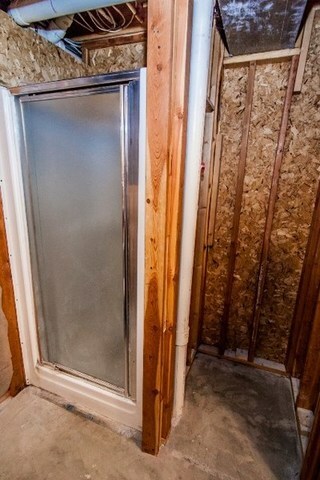 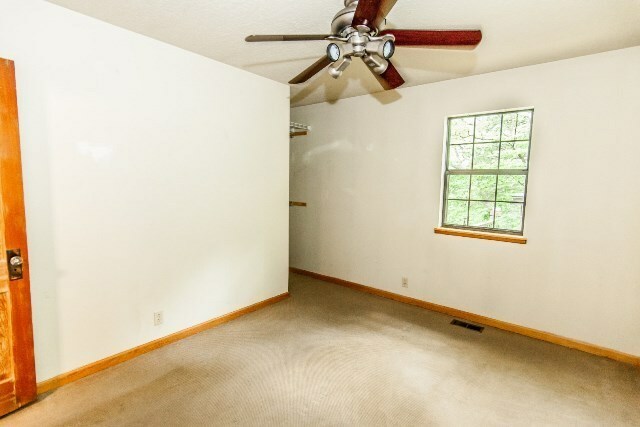 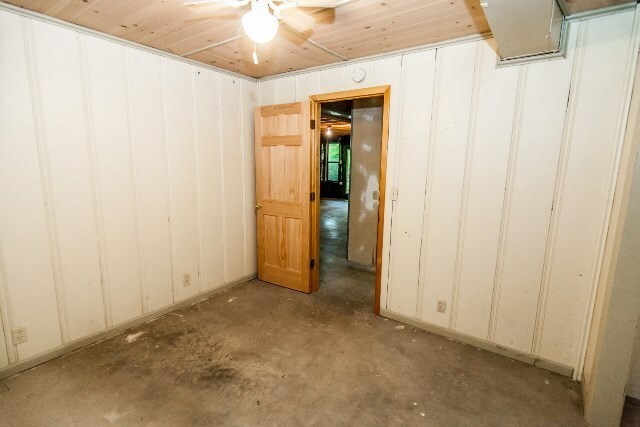 This property is a true find! 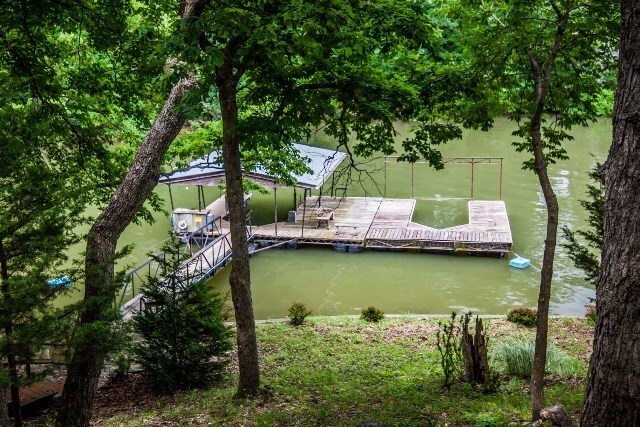 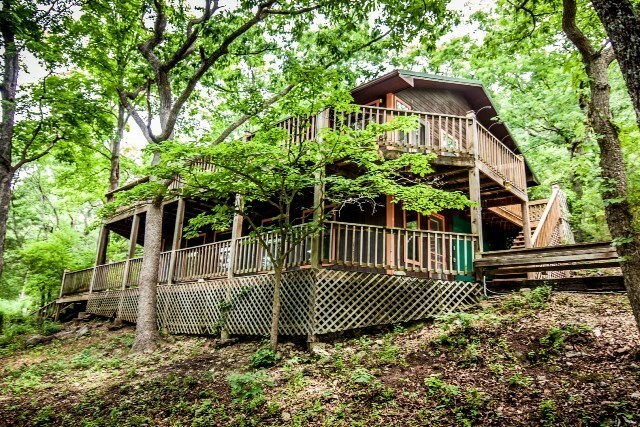 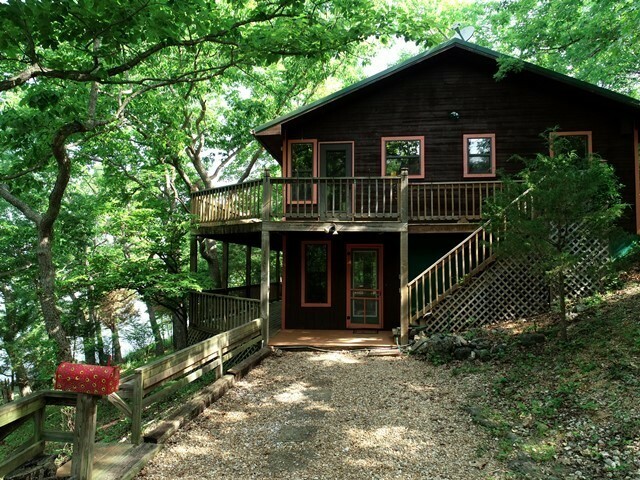 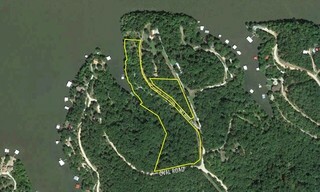 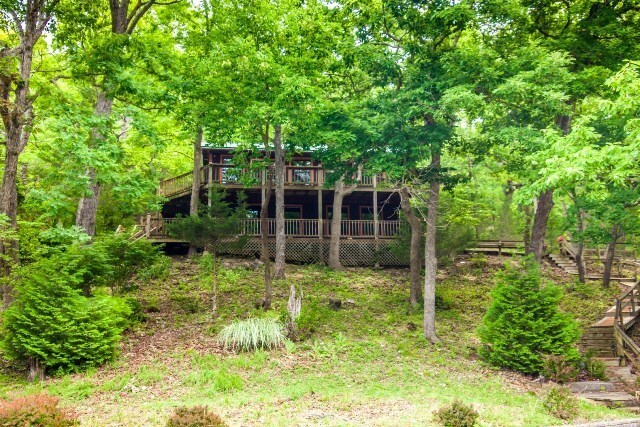 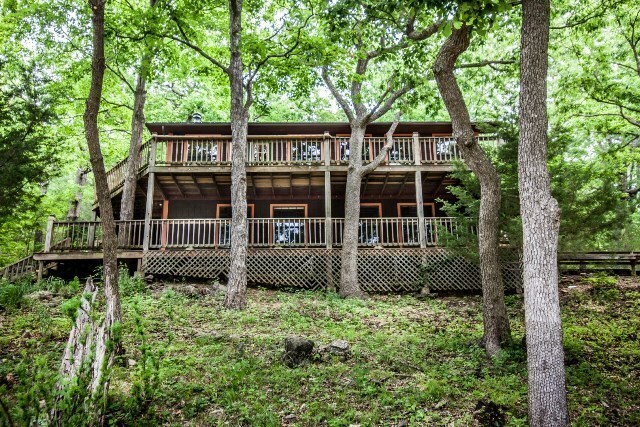 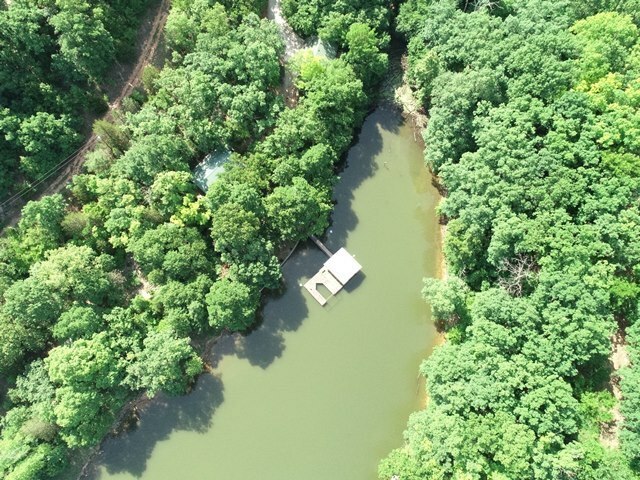 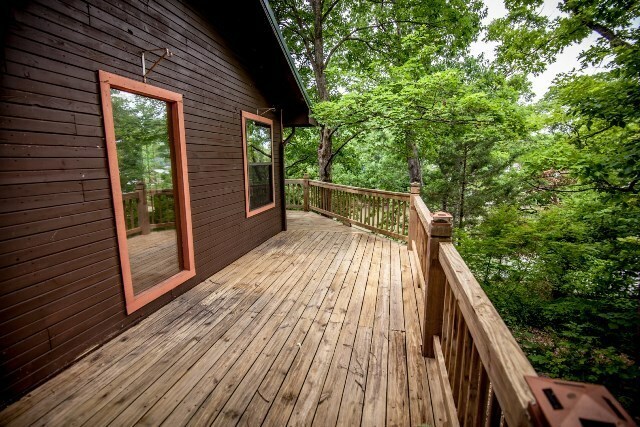 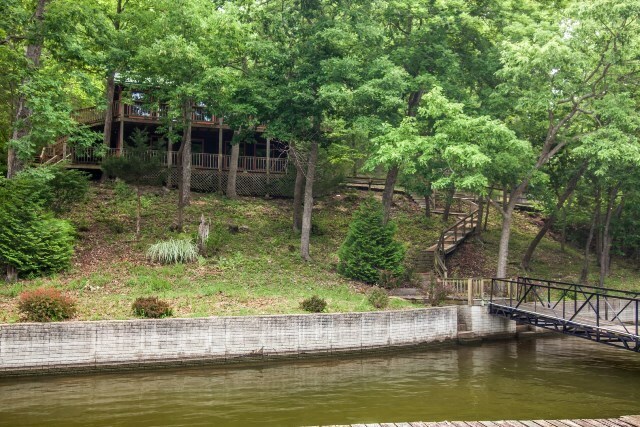 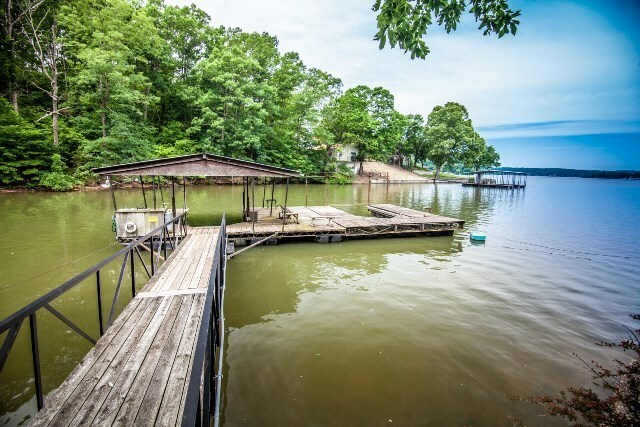 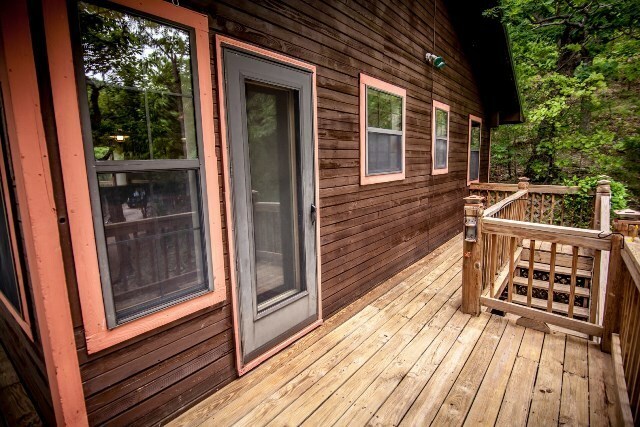 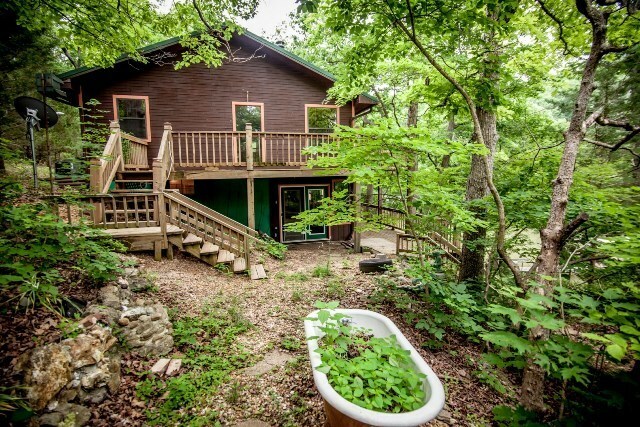 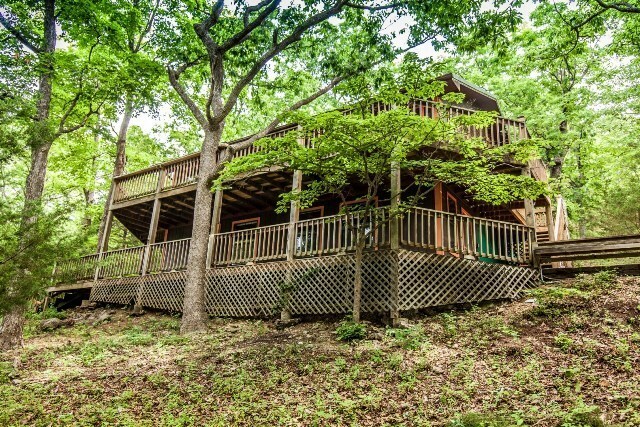 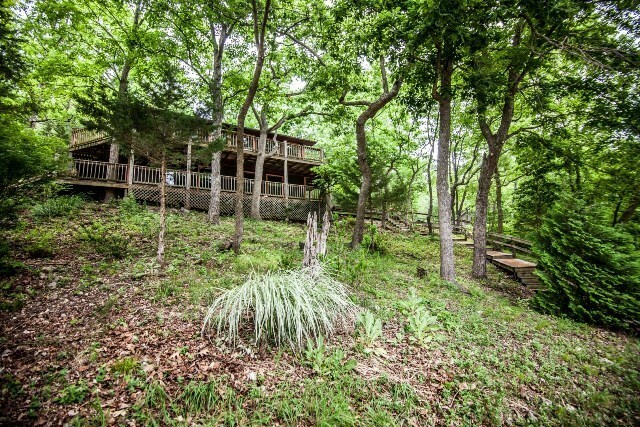 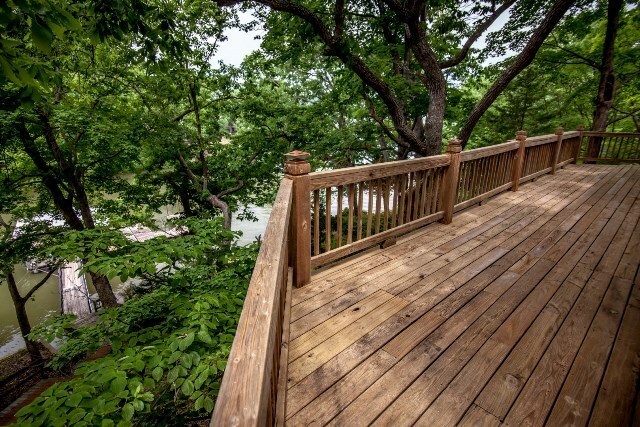 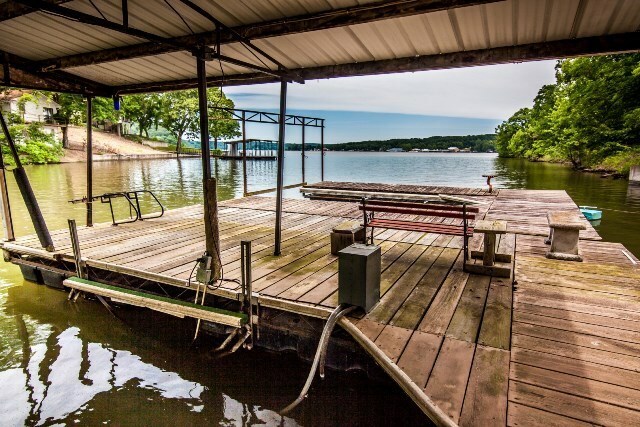 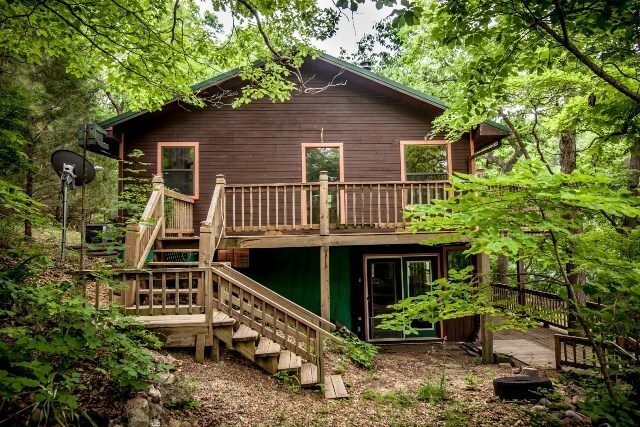 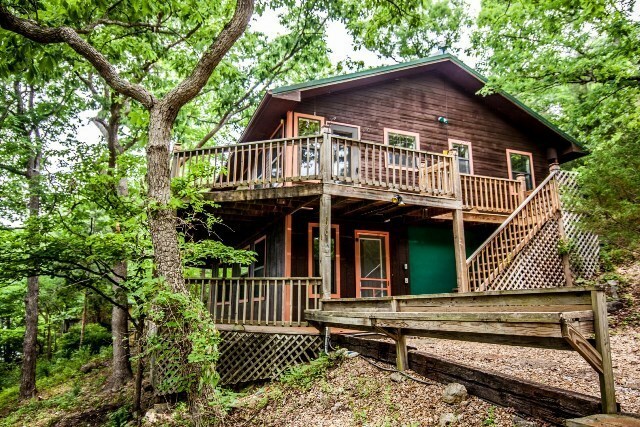 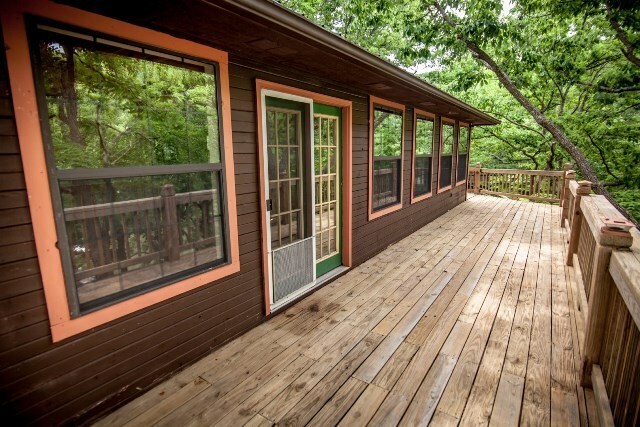 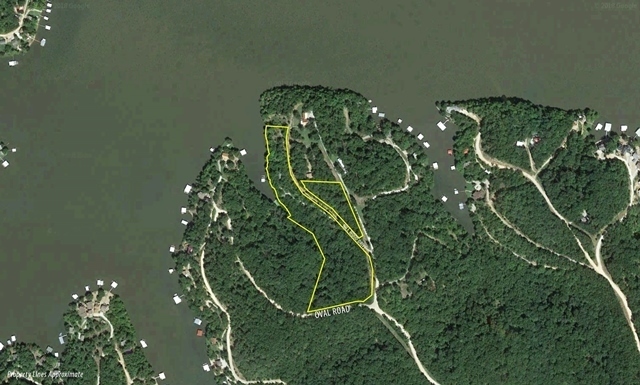 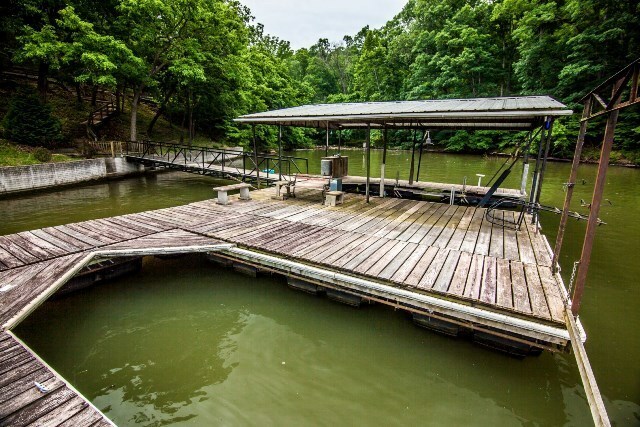 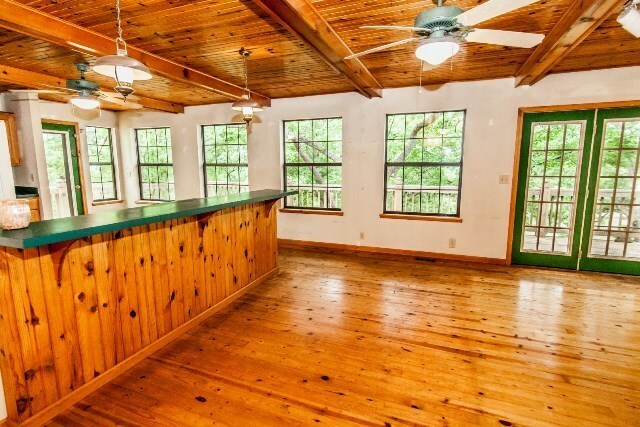 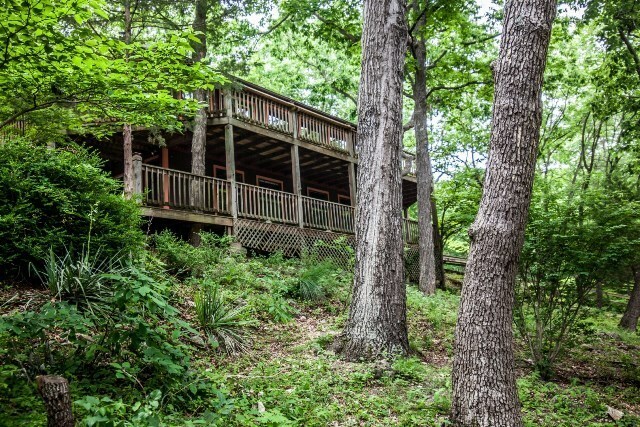 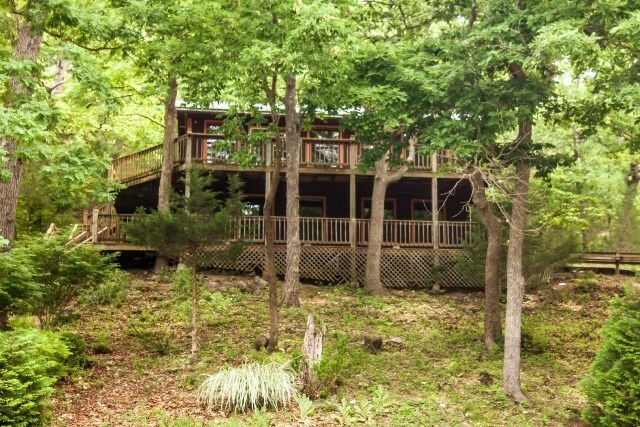 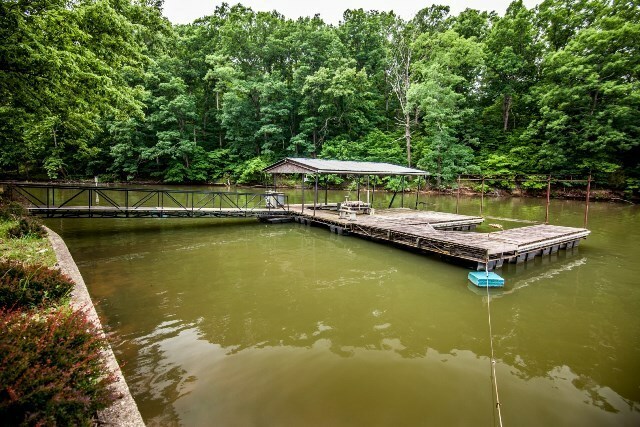 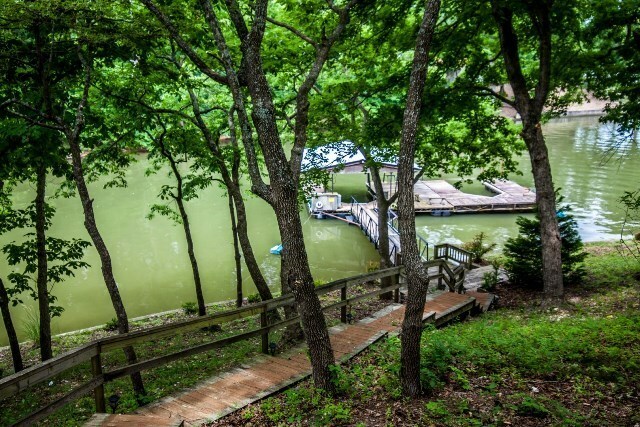 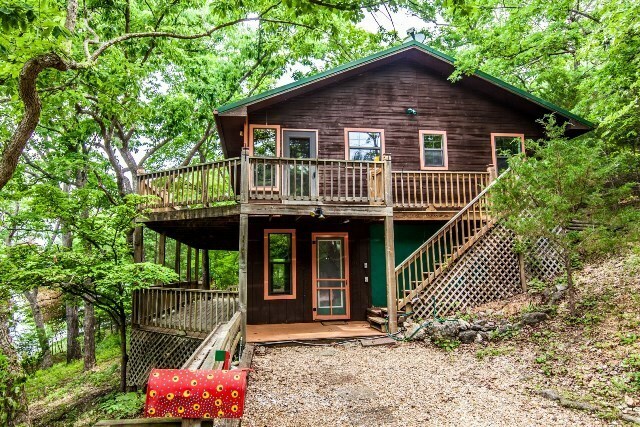 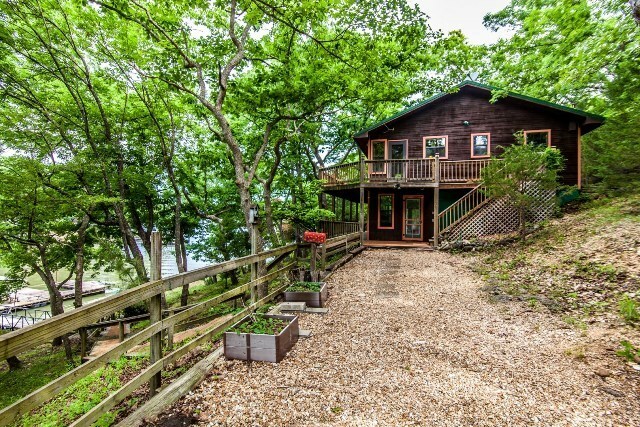 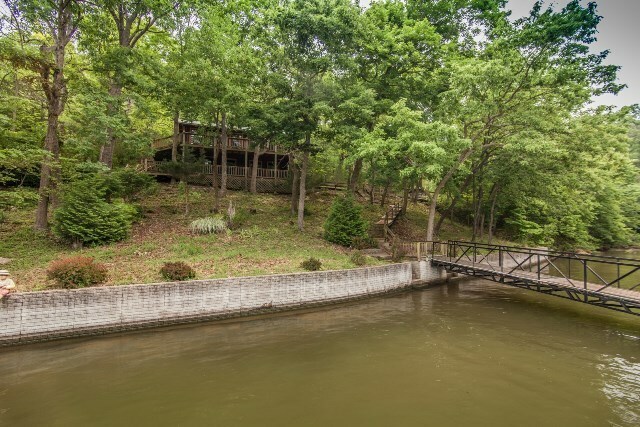 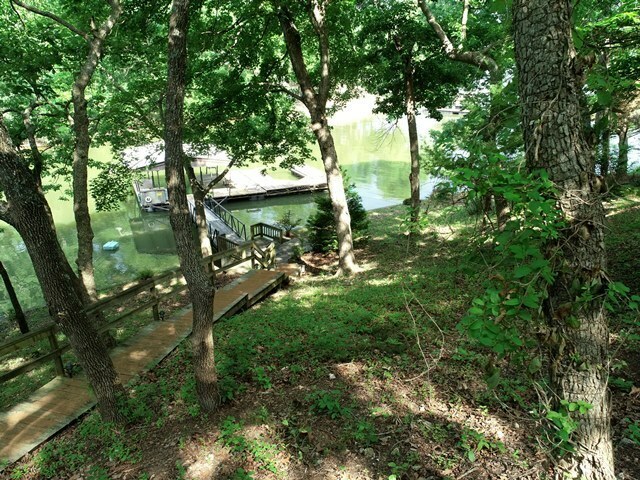 Private lakefront living with 9 acres to explore. 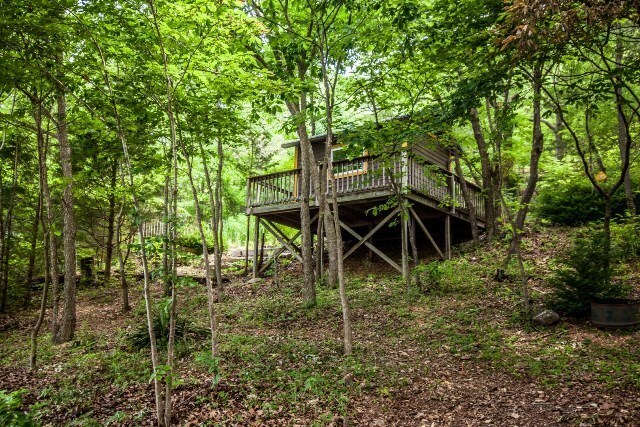 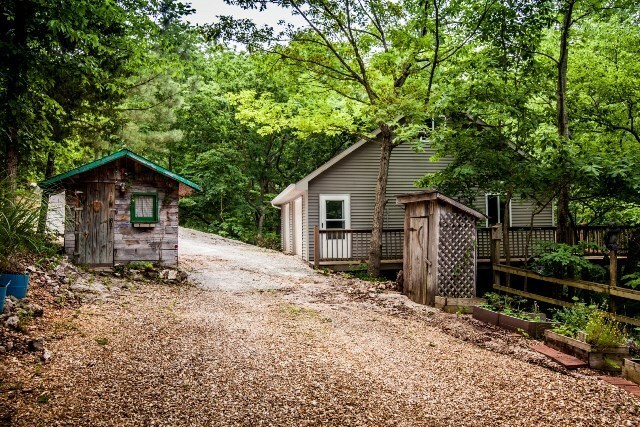 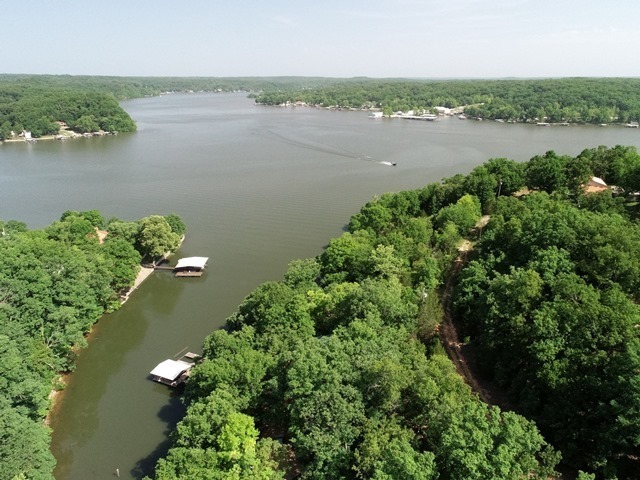 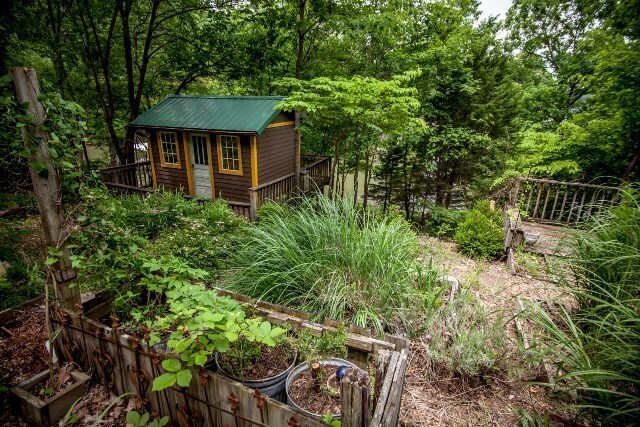 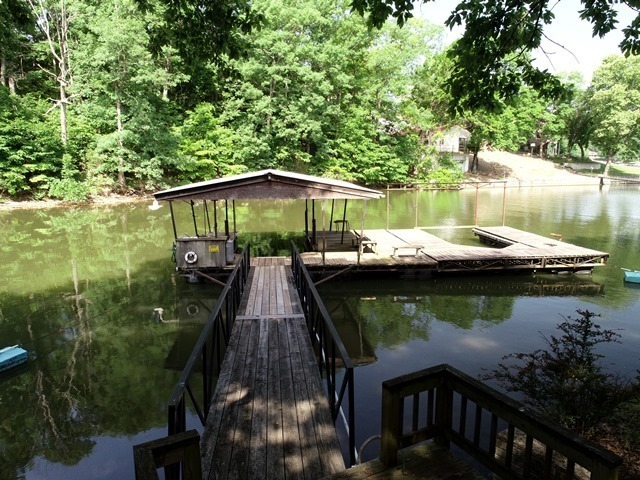 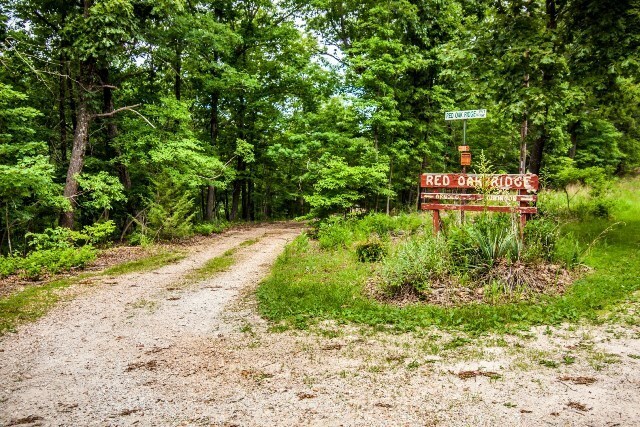 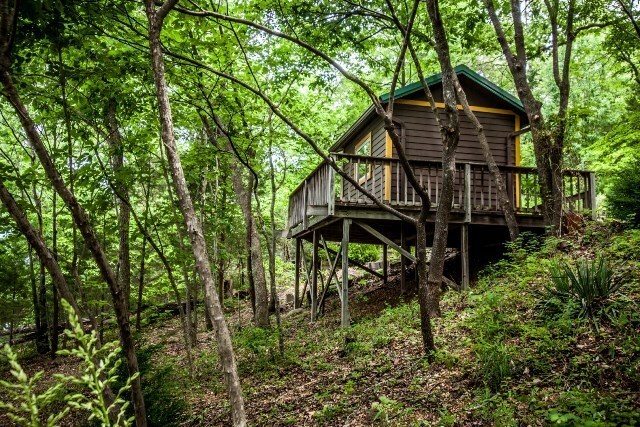 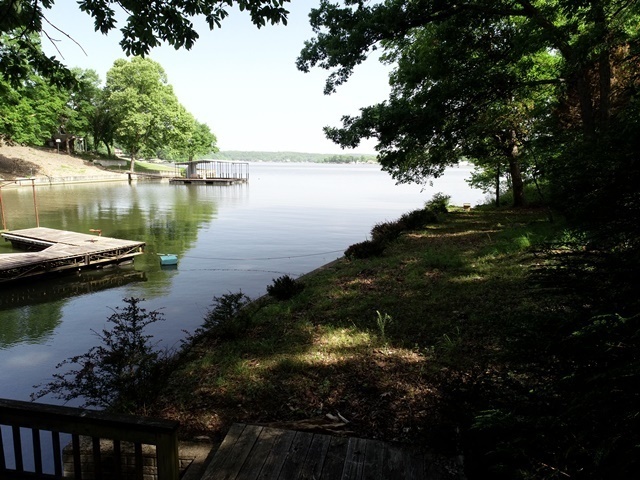 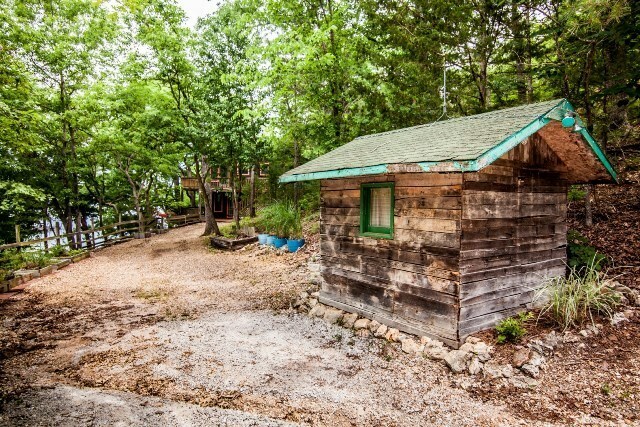 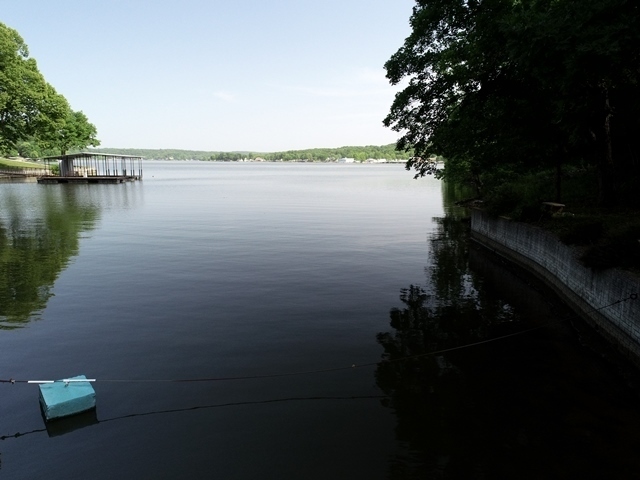 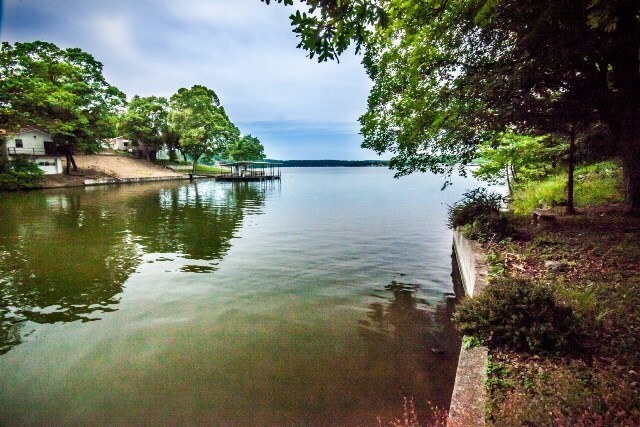 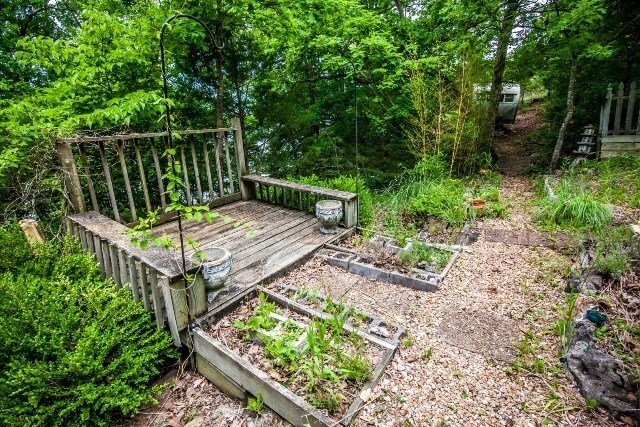 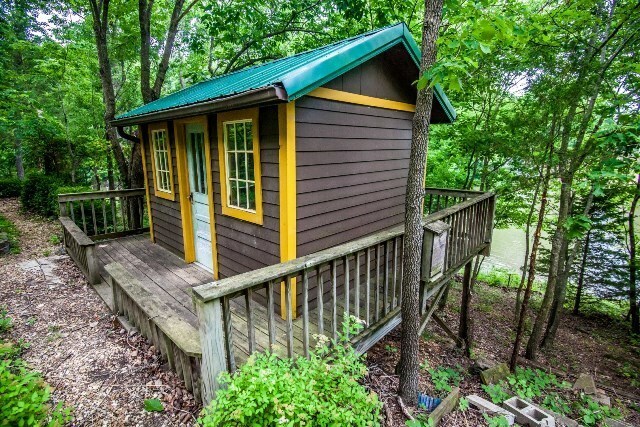 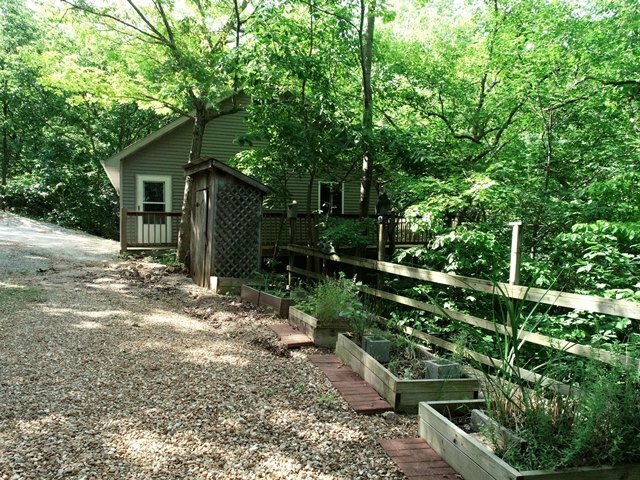 The sellers have enjoyed the natural beauty of the land and lake for nearly 30 years and have recently downsized. 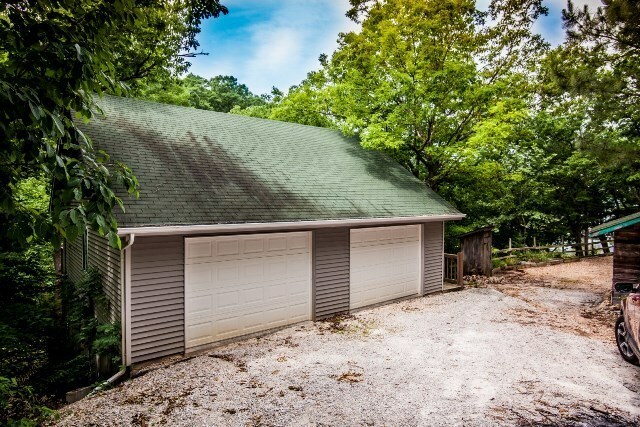 They’ve chosen auction as the most expedient way to find a new owner who will love the lifestyle afforded by this property as much as they have. 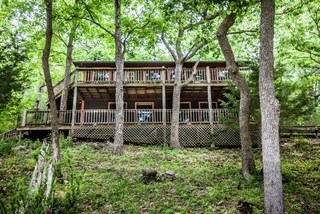 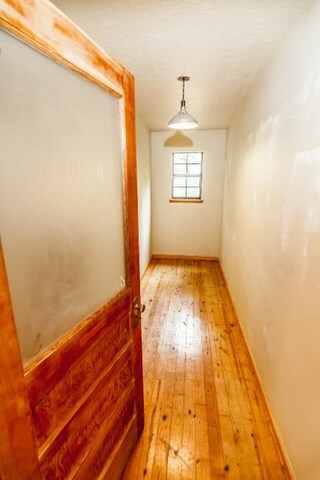 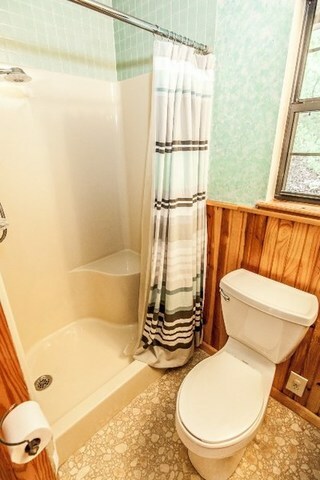 Check out the photo gallery, visit the property at an open house, then log on and bid your price! 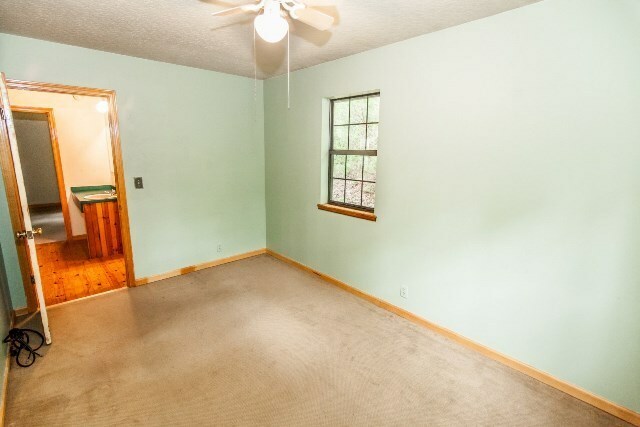 14 min. 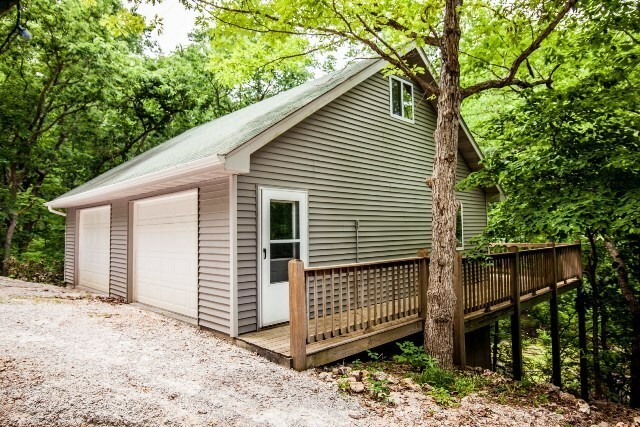 east from Climax Springs or 20 min. west from Greenview. 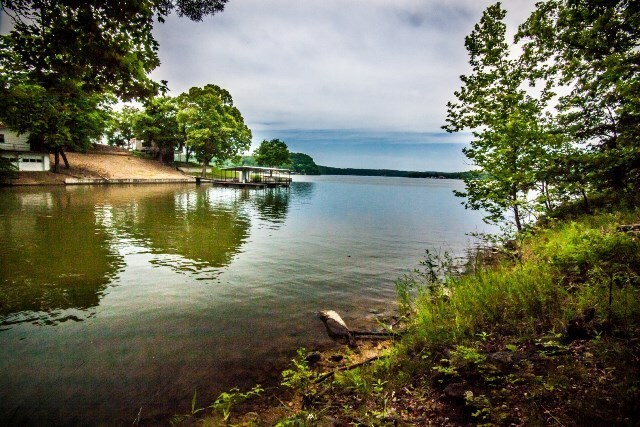 From MO Hwy 7, north on State Rd. 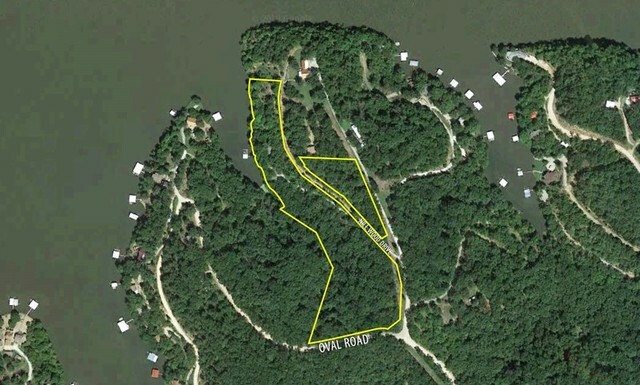 Z, right on Z-2 Road, keep right to continue on Coffman Bend Dr., slight right onto Z-2, left onto Z-2J, slight right toward Nill Wood Dr., right on Nill Wood Dr., left onto Red Oak Ridge Rd. to home on left.